This year the Muriel Awards for the best comic works were presented at the Prague Bio Oko cinema. The best comic book for children was Inspektor Hopkins zasahuje (Inspector Hopkins Intervenes) by Jan Smolík. The comic book matador Jiří Petráček, who is the author of, among others, Truhla pokladů (Treasure Chest), Osudové bitvy dějin (Fateful Battles of History), Války světa (Wars of the World) and Odysseus, has entered the Hall of Fame. Punťa: Zapomenutý hrdina českého komiksu (1934-1942) (Punťa: The Forgotten Hero of Czech Comic Books (1934-1942)) won the Award for Contribution to Czech Comic Books for the author duo Pavel Kořínek and Lucie Kořínková. The best short comic book of last year is Uprchlíci (Refugees) by Marek Rubec, while the best comic strip is Pas faux pas by Jan Pomykač. The award for the best translation went to Michala Marková (Pečeme s Kafkou – Baking with Kafka – by Tom Gauld), although the best translated comic book is Last Look by Charles Burns. The award for the best student collective comic book went to the Šmelhaus project (Academy of Arts, Architecture and Design in Prague). 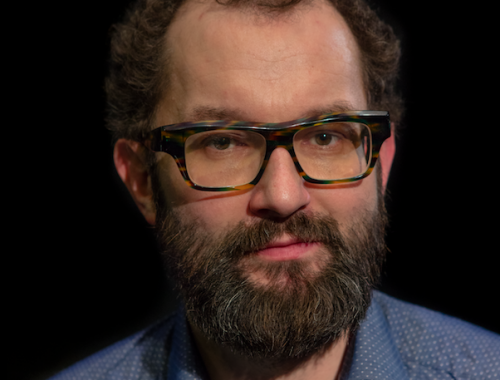 The artist and comic book scriptwriter Vojtěch Mašek won three Muriel Awards and the Czech Comic Book Academy Award for the best comic book works of last year (2018 and autumn 2017). For Svatá Barbora (Saint Barbara) – a comic book inspired by the so-called Kuřim case, written together with Marek Šindelka – he also took the award for the best drawing (precise artistic expression) and the Czech Comic Book Academy Award. He won two other awards, the best comic book and the best script, for his original book Sestry Dietlovy (The Dietl Sisters). The comic books Svatá Barbora and Sestry Dietlovy appeared in the Czech Literary Centre booklet New Czech Books: Autumn 2018, which you can see here.